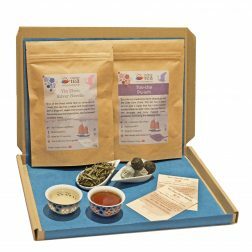 A great introductory premium tea selection box with a varied choice of our gourmet teas. This contains a selection of our more premium and rare teas. 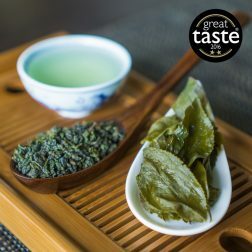 A great place to start if you are unsure which teas to order. 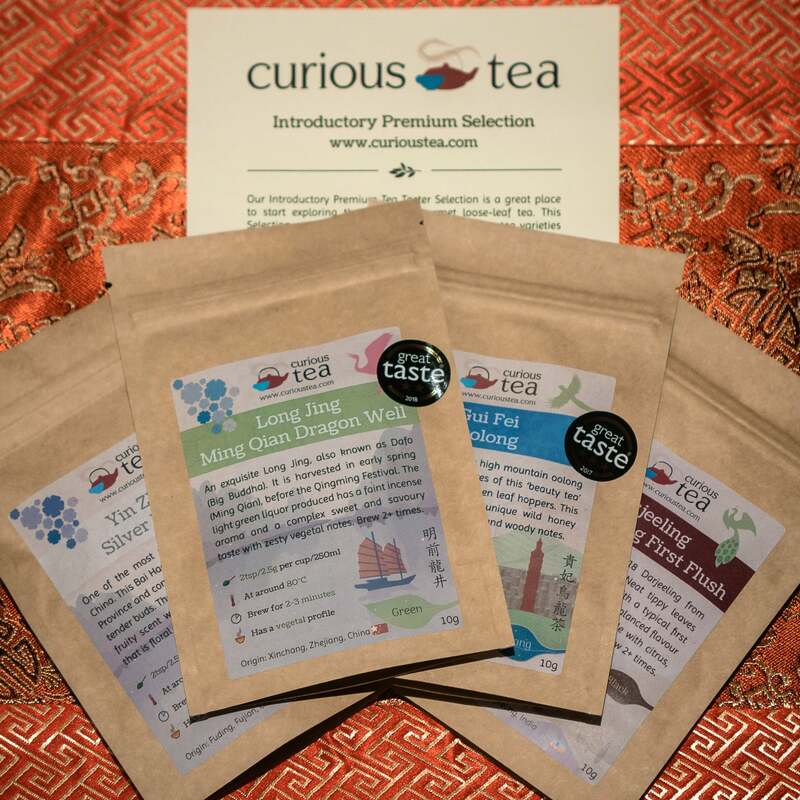 Curious Tea Introductory Premium Tea Taster Selection is a great place to start exploring the world of gourmet loose-leaf tea. The Selection consists of 4 carefully selected different premium tea varieties for you to try. 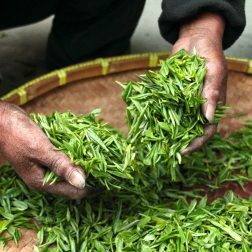 We make them as varied and distinct as possible to help you decide which type of teas you prefer. Each tea comes in a 10g pouch, enough to make a minimum of 4 cups of tea. 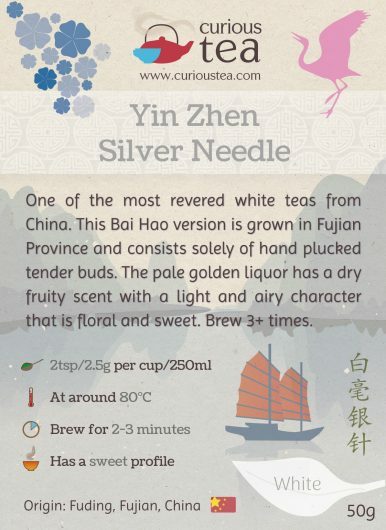 Almost all of our teas can be brewed more than once so you should be able to get 30+ cups from each selection box! In contrast to the standard Introductory Tea Taster Selection, this selection features some of our more premium and rare teas for you to try. 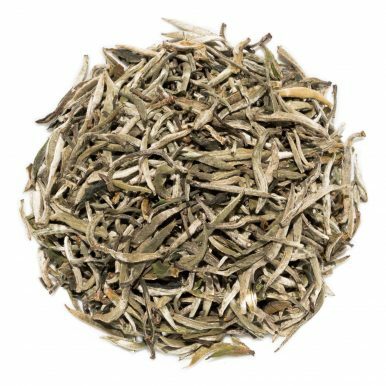 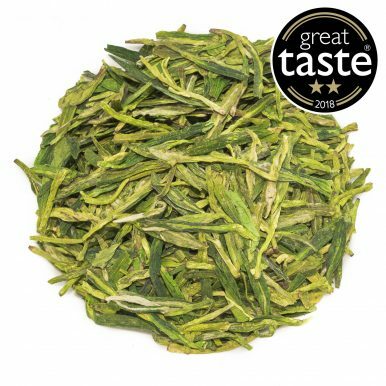 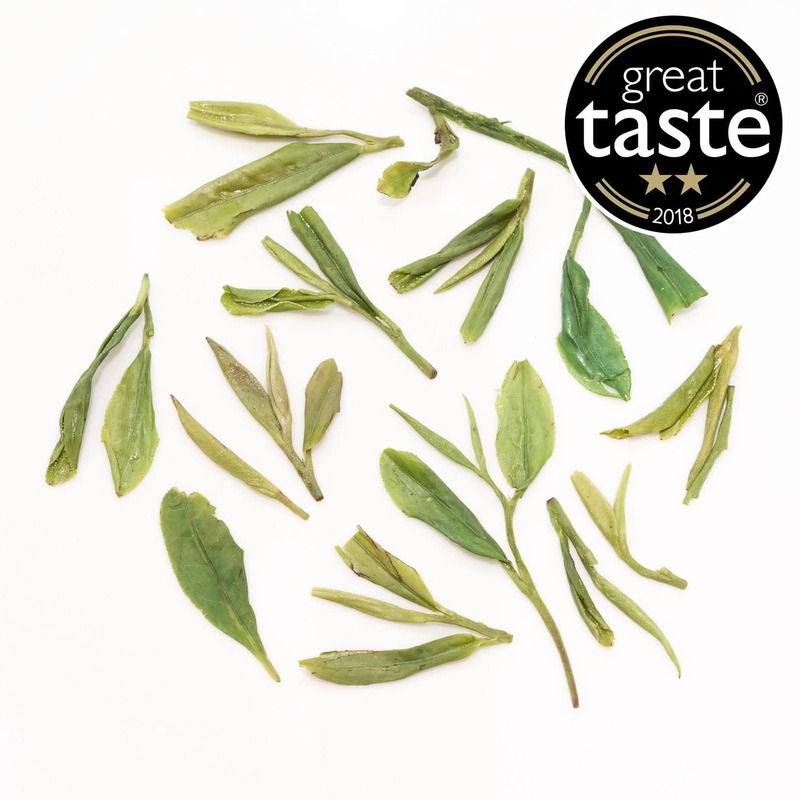 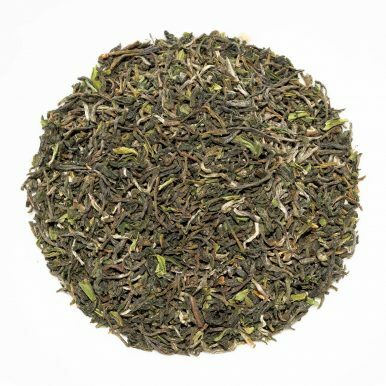 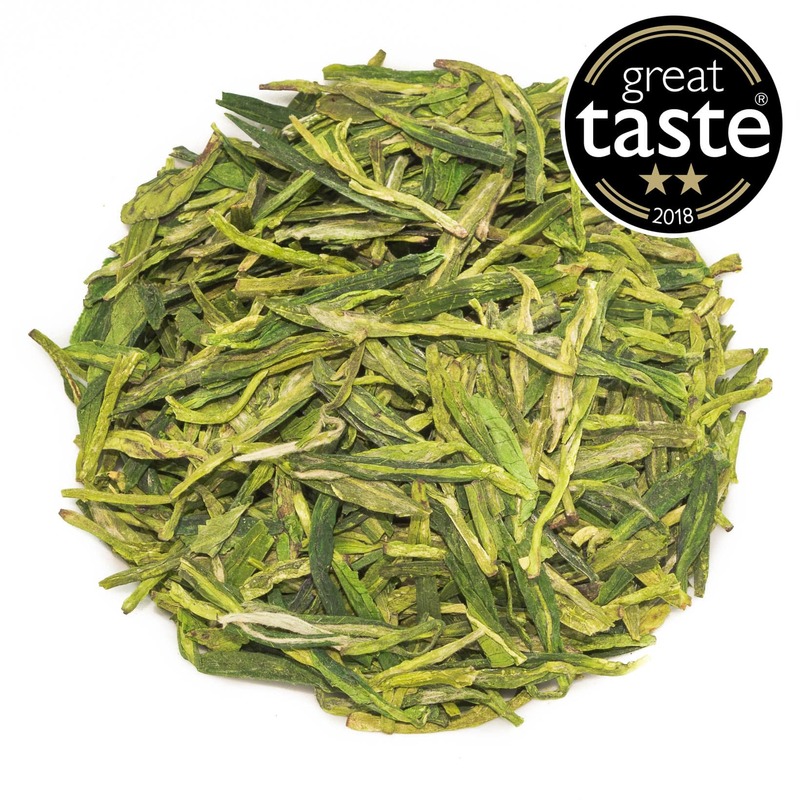 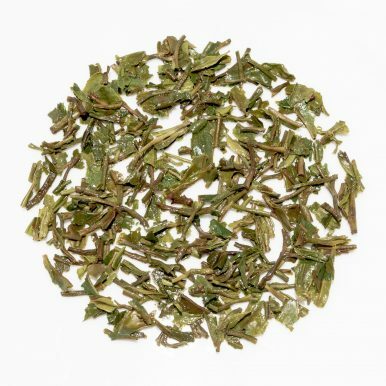 Long Jing Ming Qian Dragon Well is an award-winning exquisite green tea from China harvested in early spring. 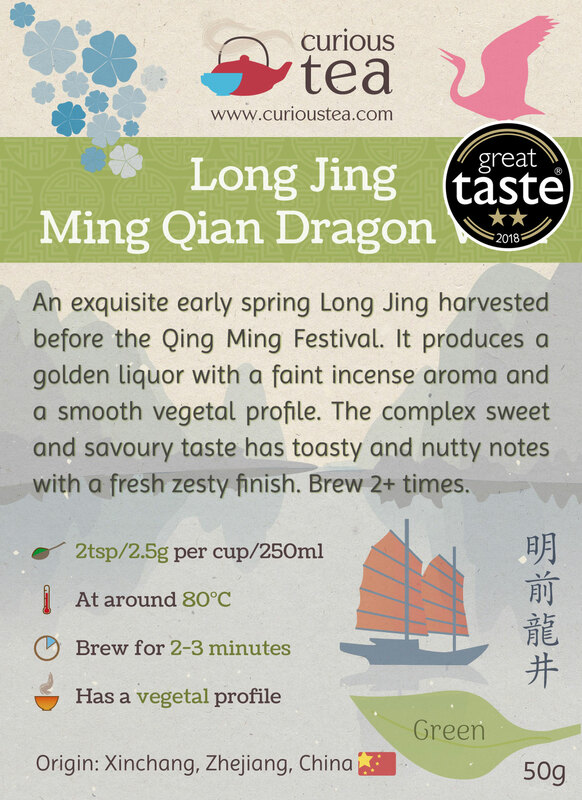 The light green liquor produced has a faint incense aroma and a complex sweet and savoury taste with zesty vegetal notes. 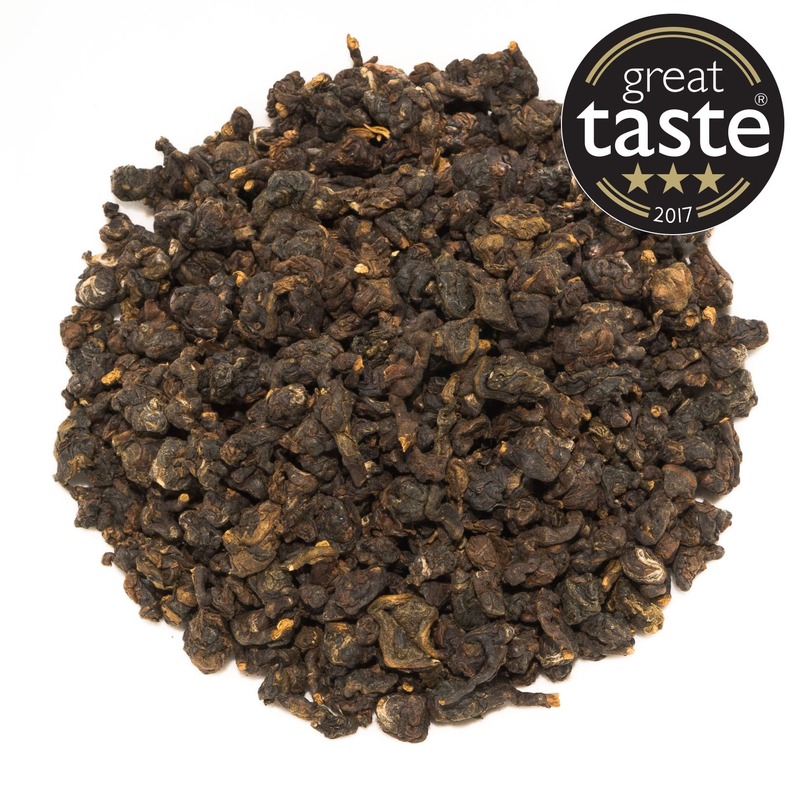 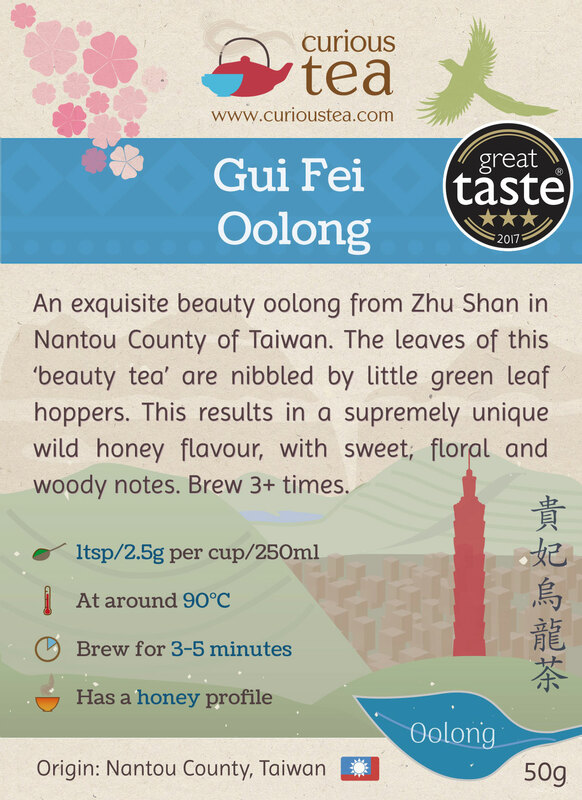 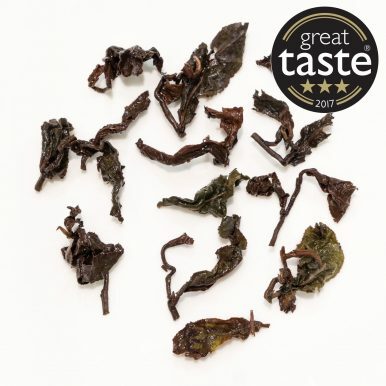 Gui Fei Oolong is an award-winning rare high mountain oolong from Taiwan. The leaves of this ‘beauty tea’ are nibbled by little green leaf hoppers. 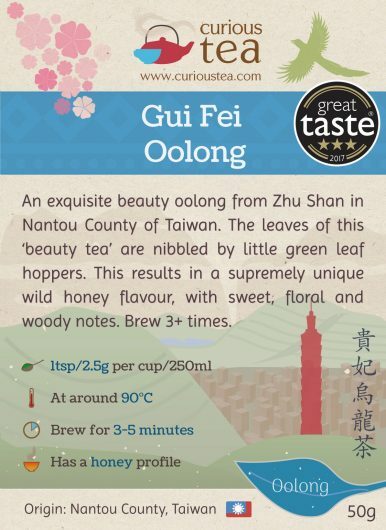 This results in a supremely unique wild honey flavour, with sweet, floral and woody notes. 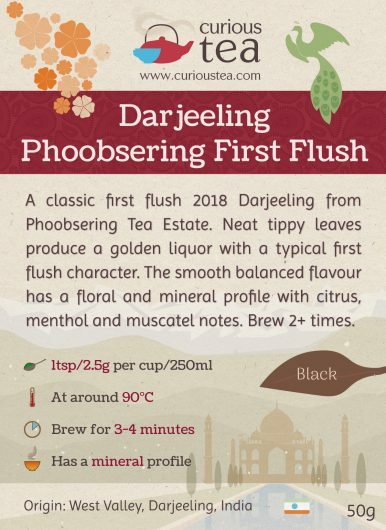 Darjeeling Phoobsering First Flush 2018 is a balanced black tea from Phoobsering Tea Estate from the spring 2018 harvest. 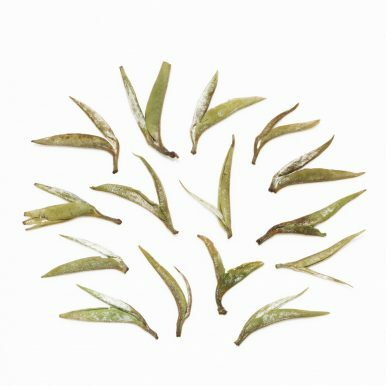 Neat tippy leaves produce a golden liquor with a typical first flush character. The smooth balanced flavour has a floral and mineral profile with citrus, menthol and muscatel notes.